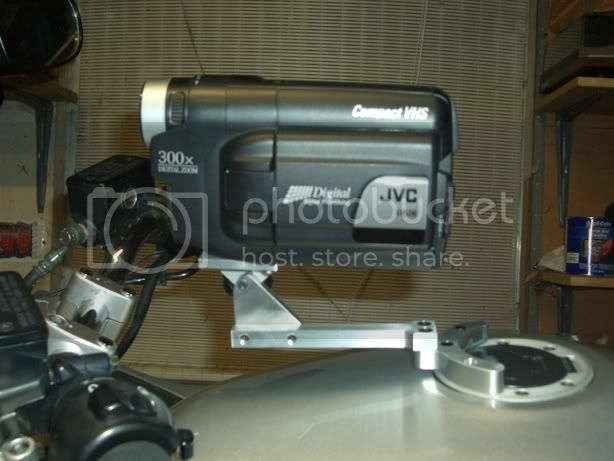 I'm taking a trip to Colorado in a few weeks and wondered if anyone has figured out a good way to temporarily mount a small digital video camera to the side of their helmet for catching the scenary. Watch the movie "Dust to Glory" - a great documetary flick on the Baja 1000. They cover the buggies, trophy trucks and most of all, the bikes. You should be able to find it at your local video store. They used helmet cams in that. You might see them in the feature, but if not, you will in the special features part of the DVD. Check out ebay I've seen a number of companies making lenses that jack into your camera they are a little spendie though! When you type in your search try lipstick cameras also. If your not running with a tank bag this is the set up I use on my bike and you don't have to worry about bugs on your lens! When it came time for a few of Melbournes tightest Motorcycle couriers to bury one of our own, a couple of the lads hired helmet mounted cameras. The video quaity was brilliant. And of course we lads sent him off in a good and proper way, running amuck courier style. Your tank mount looks great. Do you get much vibration from the tank ? You get no vibration from the tank due to the rubber mounts. I was really surprised how the videos came out. A friend of mine built this one but you can buy them from http://www.sportbikecam.com/. My buddy bought one for his ZRX 1200R I just stole his pattern and made this one up with a longer arm to work on the Bandit! Check out the videos on sportbike cam to get an idea of how the clarity is! 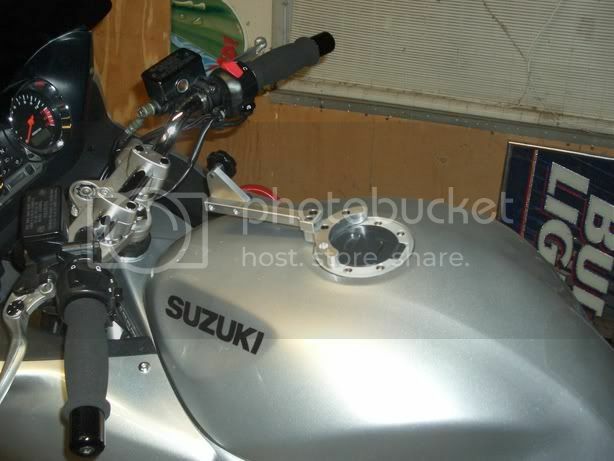 a little cheaper than sportbike cam but it might work! I figured out how to up load some video!